Awami League General Secretary and Road Transport and Bridges Minister Obaidul Quader on Tuesday said his party has agreed to sit with the newly-floated political alliance ‘Jatiya Oikyafront’ to continue the democratic and constitutional trend. “We have agreed to hold the dialogue to keep intact the democratic and constitutional trend. Prime Minister Sheikh Hasina invited Dr Kamal Hossain at (her official residence) Ganabhaban at 7 pm on November 01. We will hold this discussion with an open mind,” he told a press conference at the ministry’s conference room at the secretariat here. 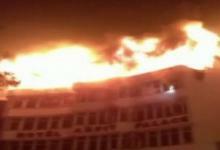 Quader said Kamal Hossain, on behalf of Oikyafront, had sent a letter to the AL president. 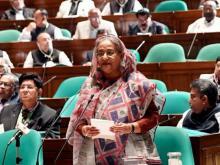 After the last cabinet meeting, AL President and Prime Minister Sheikh Hasina had an unscheduled discussion with her cabinet colleagues on the proposal of the Okiyafront, he added. The AL general secretary said Sheikh Hasina informed the meeting that as Okiyafront wanted to meet with the AL, her door is open for them. “We have trust in Dr Kamal Hossain though we are not sure whether he (Kamal) is the top leader of Oikyafront or not. When we sit in discussion, it will be clear weather the alliance is being led from London or Bangladesh,” he added. The AL general secretary said the situation is not like that a massive movement is being held in the country and AL would sit in discussion in the wake of the movement. “Sheikh Hasina said Oikyafront want to meet me, why I won’t give them time?” he added. About the agenda of the proposed discussion, he said Oikyafront attached their seven-point demand and 11 targets to the letter. He said the discussion will be held on these agenda but among the seven-point demand, several are related to the constitution and some are related to the court and the Election Commission (EC). The AL general secretary said Oikyafront talked about level playing field which they are enjoying even now through holding meetings and rallies. Quader said when the schedule for the general election will be announced, the EC will deal with the matters. He also said there will have no scope to sit with any other party after the announcement of election schedule. Asked about the polls-time government, Quader said it has no relation with the dialogue. “The Election Commission will conduct the election and the election-time government will cooperate with the commission. It is jurisdiction of the prime minister to decide how will be the size of the polls-time government,” he added. 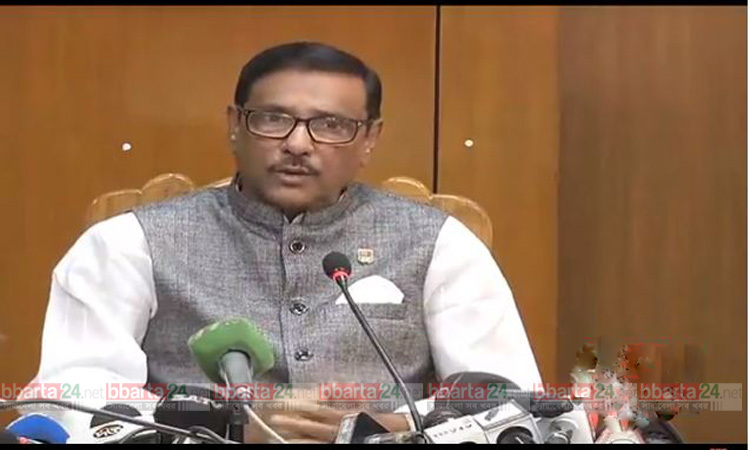 About framing of law for using electronic voting machines (EVMs) in the election, Quader said those who will not make digital crime have no reason to be anxious. He said there is no objection from their side on how many leaders of Oikyafront will join the dialogue. Oikyafront will send a list by this evening and after that AL will inform its decision, he added. Two letters – one written to Prime Minister and AL President Sheikh Hasina and signed by Jatiya Oikyafront leader Dr Kamal Hossain and the other written to Quader and signed by Mostafa Mohsin Mantu – were sent at the AL president’s Dhanmondi political office on Sunday.